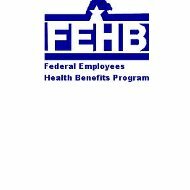 Government Employees Health Insurance is also known as the Federal Employees Health Benefits Program or FEHB. It provides healthcare and other benefits to employees of the federal government, including postal workers, and military personnel. While not an insurance company itself, it manages health and other benefits that are delivered through contracted insurance carriers, which vary, by state and government agency. Want to know if you are getting the best healthcare coverage possible? Compare rates and plans offered through government employee’s health care with those of insurance providers in your area. Simply click here now and enter your zip code for a list of rates from health insurance companies near you. Children must be age 26 or younger unless they have a disability that classifies them as a dependent beyond age 26. Retired federal Employees are also eligible to carry benefits with them into retirement for themselves and their spouse providing they meet certain criteria. The cost to retired employees is the same as for active employees. FEHB plans are available in all 50 states plus Washington, DC, Guam, and Puerto Rico. Availability of specific plans depends on where you live and what government agency in which you work. The FEHB website offers a link where you can click on your state to view the specific plans available in your area. These state links also offer copies of plan brochures for you to read more about each option. FEHB offers both HMO plans and FFS plans (Fee for Service) from which to choose. Most FFS plans are PPOs (Preferred Provider Organizations). With these you get to choose your medical doctors from a list of preferred providers, but in doing so, you save money in co-pays. With FEHB plans, you have a process you can follow if you feel a claim was unfairly denied or your insurance provider has refused a medical service that your doctor has stated is necessary. You should first write or call you plan provider and provide them with the specifics of the medical procedure. If your physician says the procedure is medically necessary you may want that doctor to speak with the company representative directly. If your claim is still denied you can write to the FEHB Office of Personnel Management and explain your situation. Each case will be reviewed and you will be contacted within 60 days of the date it was filed. If you have a health insurance plan under FEHB and you need to contact the agency managing these with questions, concerns, or claims disputes you can do so via the following methods. Get quotes for health insurance providers in your area. By clicking here and entering your local zip code, you can get a list of health insurance quotes and plans offered by several providers.